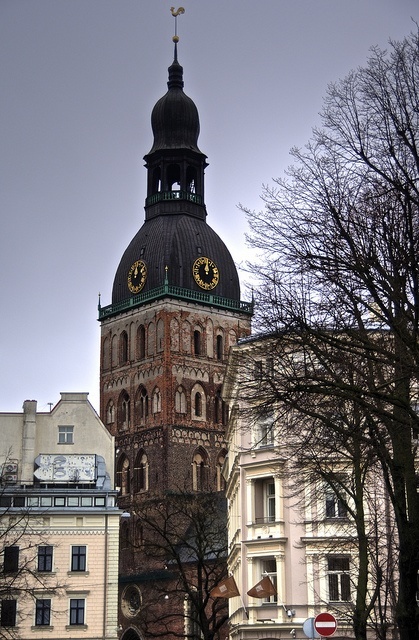 Riga Cathedral is the Evangelical Lutheran cathedral in Riga, Latvia. It is the seat of the Archbishop of Riga. The Latvian word doms, an archaic term for cathedral (similar to Italian duomo), is often mistranslated in English as dom or dome. It is one of the most recognisable landmarks in Latvia, and is featured in or the subject of paintings, photographs and television travelogues. Built near the River Daugava in 1211 by Livonian Bishop Albert of Riga, it is considered the largest medieval church in the Baltic states. It has undergone many modifications in the course of its history.